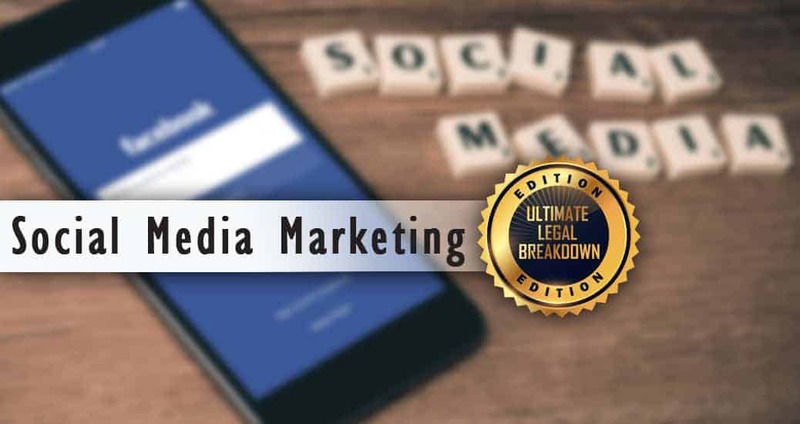 On this episode of the Ultimate Legal Breakdown, Nasir and Matt break down social media marketing with guests Tyler Sickmeyer and Kyle Weber of Fidelitas Development. They first discuss contests and promotions and talk about where social media promotions can go wrong, when businesses are actually running an illegal lottery, and the importance of a sound terms and conditions. Next, they talk about the recent press release from the FTC to marketing influencers about necessary disclosures in online marketing and how to avoid problems like those that occurred at the Fyre Festival. They wrap things up with a discussion on intellectual property infringement, including issues caused by rogue ex-employees, affiliate relationships, and copyright infringement claims. NASIR: Welcome to Legally Sound Smart Business! My name is Nasir Pasha. MATT: And I’m Matt Staub. We’re two attorneys here with Pasha Law. NASIR: Welcome to the podcast! Today, we are doing the ultimate legal breakdown of social media production. But, today, we have some special guest to give us some little insight on the marketing side of things. We have Tyler Sickmeyer and Kyle Weber – two marketing gurus. Kyle, you’re in Tennessee, right? Tyler, you’re in San Diego? Thanks for having us on, guys! NASIR: Definitely! We definitely appreciate it. At the top here, I do want to kind of give some background. Tyler, why don’t you give us a good introduction of what you and your company does and how you service companies? We basically have a similar crossover of clients. Tell us a little about that. Fidelitas is a full-service marketing and ad agency based in San Diego in Nashville. We work with clients across a variety of channels – both digital and traditional – including social media which we’ll talk about today. We like to service more of a strategic partner on our side of things. We like to come in and help guide clients through the actual strategy of why we’re posting what we’re posting rather than just throwing something up because it’s Tuesday so we need to throw up another cat photo. We try to keep it relevant and make sure that we can actually quantify the ROI for our clients on the backend of the campaigns as well. That’s a little bit about us. NASIR: I love cat photos. 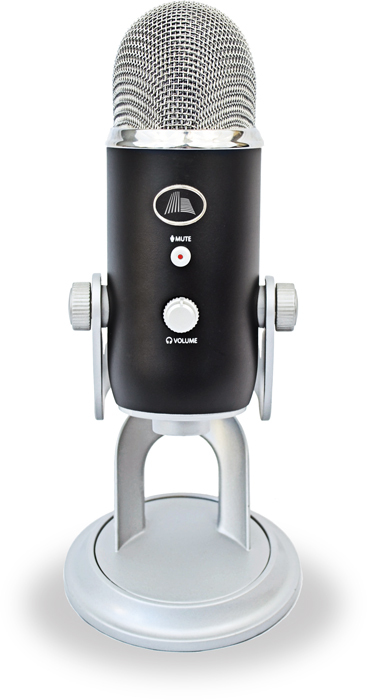 Tyler and Kyle have also their Lion’s Share Podcast. We’ll put a link to that in our show notes as well. We actually just cut an episode with them earlier today. So, I’m looking forward to hearing that as well. Let’s get into our stories today. What are we talking about today, Matt? What’s their first topic? MATT: The first thing we have here, maybe some of you might have seen it in the news, this company, it’s actually a couple of college students in Arizona – Sunny Co Clothing. They ran this publicity stunt through their Instagram basically saying – I’ll summarize it here – “Sharing is caring. Everyone that posts this photo—” and it was a woman in a bikini “—in the next 24 hours is going to get a free Pamela Sunny Suit which is the bikini. They post this, try to get their name out there, and then they figured maybe we’ll get a couple of bites on this and more people will know about this. Well, the problem is it sort of backfired. As they ran this, more than 3,000 people had reposted in the image and they actually had to cut the post out before the 24 hours they had initially put. They kind of backtracked on that, too. Basically, they ran into the issue – this is the issue that I guess some companies have – they run this marketing campaign and they don’t really think it through before they just do it. They kind of just push the send button and see what happens. There’s a problem with that. As you can see, with this company, they basically ran through way more than their inventory was and now they’re at the stage of having to try to figure out some sort of solution to it. The issue here, I guess, for Tyler and Kyle, have you guys ever had an issue with this – with any sort of client? Maybe they wanted to run some promotion and it kind of caught fire more than they were anticipating? TYLER: Yeah, we try to make sure that our clients think things through in advance in the campaign from a best-case, worst-case scenario. We like to make sure that all options are on the table. That way, if something does take off, the client is not going to be hamstrung fulfilling orders. We like to usually make sure that there are some disclaimers in there to protect the client from the campaign side of things. It’s tough. A lot of times, we find that campaigns like this aren’t executed with the help of an agency. It’s usually someone that’s well-intentioned in-house that bites off a little bit more than they can chew without factoring in all the costs which is actually pretty ironic because you’d think that in-house marketing leaders would be less susceptible of such things because they’re aware of the cost. They probably hollered across their office and said, “Hey! Can we comp some swimsuits for a social campaign?” and someone said, “Sure!” and no one ever thought to quantify how many some swimsuits actually was and stuff like that. We’ve seen issues like this in the past – even with bakeries and doughnut shops. It’s put people out of business before with the wrong types of promotions. And so, it’s very important to make sure that any promotion you run is still profitable when you factor in the lifetime customer value. It’s often referred to as the CLV. It’s very important for marketing leaders to figure that out ahead of time. For example, to cross industries for a minute, on the car side, there’s a reason why Mercedes will sell you a $48,000 car – their entry-level cars – because they want to capture your brand loyalty and give you a great experience so that they can sell you three or four more cars over the course of your life. Again, that comes down to building that brand loyalty early and Mercedes has it very much dialed in as to what their lifetime customer value is. Sadly, it doesn’t look like the swimsuit company thought that through. As a result, they’ve got some serious issues on their hands and the lesson of the story is always hire an agency. NASIR: Yeah, and those are the non-legal ramifications. We didn’t even go into some of the legal ramifications of basically doing a contest without any kind of terms and conditions and promotion rules. That’s pretty basic. The problem is people dive into these promotions because maybe they’ve seen this and others and don’t realize that not only do you have to figure out whether you have enough swimsuits to give to everybody and you can afford that, et cetera. Also, you may have to register your so-called sweepstakes with certain states – depending upon what’s the value of the product that you’re giving away. MATT: And this is a big area of law that I think really goes unnoticed. These promotions can fall into different categories. There’s contests, there’s sweepstakes, and some of them can even be considered lotteries. You hear the word “lottery” and you’re like, “Well, I know what a lottery is. This promotion isn’t a lottery.” But, in terms of the legal definition, a lot of these contests that people and companies are running would fall under legal lotteries. It’s very important, like Nasir said – (1) you’ve got to have the terms for these promotions up. They have to have certain things. It varies state by state but there are certain terms that need to be in there and certain disclosures that need to be made. (2) You need to have this properly classified. If it is going to be a sweepstakes or a contest, et cetera, it might need to be registered. You might need to have a bond that’s in place and some of these things need to be done thirty days in advance. You have to look to see what the total value is of what you’re giving away. There’s all these different things that fall into play. Like I said earlier, it could be a situation where what you think you’re running is just a run of the mill contest but it, in fact, could be an illegal lottery. These are things that, again, need to be vetted from the beginning. You really need to think this through. If it’s a situation where you might be kind of running into that grey area of a lottery, you might want to rethink what you’re doing and kind of adjust the way you go about it. Let’s go on to a next topic. Now, I’m sure you guys, Tyler and Kyle, have ran promotions where you get an influencer to put a sponsored post. It’s a pretty effective means of marketing, isn’t it? TYLER: Absolutely. It’s much like the advertorials used to be effective in newspapers back in the day. Now, the social influencer route is a great way to get around the algorithms that platforms like Instagram and Facebook use to filter the amount of brand to post an individual season their newsfeed that aren’t promoted. NASIR: Oh, yeah, that’s true and it’s very difficult now to get your product out there unless you’re paying for it. I suppose getting someone else that has a ton of followers is a good way to do that. But there’s been some, I should say, sponsored posts gone wrong. We just talked about the swimsuit and how people just fall into these kinds of basically old law. Let me back up for a second. You know, when we’re talking about the ultimate legal breakdown of social media promotion, a lot of these legal issues aren’t new. It’s just that, because of the accessibility to overnight run a contest, people run into these problems because, in the past, if you are McDonald’s and are doing some kind of monopoly promotion, you’d have to take months and months of planning and a lot of costs are involved. But this is just a matter of putting a post up there. You get into a lot of issues. The same way with sponsorships. Sponsorships aren’t new. Endorsements aren’t new. But, when it comes to social media, the accessibility is a lot easier. Matt, let’s talk about what the FTC recently did. MATT: Yeah, and I think it’s going to kind of connect to a recent event we’ll talk about as well. The FTC sent out basically this blast, I believe, about 90 different influencers and marketers basically saying, “Look, a lot of these ads that are running aren’t following FTC rules. We’re just letting you know, we’re making you aware, putting you on notice that what you’re doing might not be in line with the rules and regulations that are in place.” Basically, to kind of summarize it here, if it is an ad, it has to be clear and conspicuous – those are the keywords to follow here. If it is, in fact, an ad, let’s say you’re an influencer, if you’re the marketing company running this, it needs to be very obvious that what’s up there is, in fact, an ad that’s sponsored. We say that, you know, even listening to me say it now, it seems like it’s a very obvious thing to follow. But, I think, just for the reason that we saw the FTC send this out to all the people that it did, it wasn’t being followed. If you look online, if you go on social media and just take a look, I bet, more often than not, you’re going to find an ad that doesn’t say that it’s an ad or doesn’t say that it’s sponsored by whatever company or whatever brand is behind it. NASIR: Yeah, what do you guys think? Have you guys ever seen any of your influencers when they do a sponsored post actually give any of these kinds of disclosures? TYLER: Typically, what we try to go for is just, for example, in platforms where hashtags are appropriate, just add #ad tends to be sufficient. Sometimes, it’s interesting, it could be considered more or less prominent, I guess, if it’s one of the first or last hashtags versus if it’s in the middle. But I do think it is on the burden of the influencer to make sure that that’s in there as well as the brand but that’s one thing we always make sure that we ask for in writing. That way, if the influencer fails to post it, the burden is at least on them from our standpoint because we did request them to include it. NASIR: Yeah, absolutely. It’s really their responsibility where the FTC is going to get involved. KYLE: Yeah, I was just going to say, I think there’s a huge temptation for a lot of social influencers too on platforms like Snapchat and Instagram where they have stories as well. You may follow people that have a couple of million followers and they’re posting about some detox tea that they’re drinking but it’s not that they’re really drinking – anyway, they might be drinking the detox tea but they’re also promoting it and it’s up in an instant and then gone in 24 hours. I think that there’s a lot of temptation there but people should know. People should know that that is a brand deal that they had. NASIR: And so, when things go wrong, it’s not just the influencers that can get in trouble. Also, the brand themselves. Have you guys heard of this Fyre Festival? I know Matt goes every year. MATT: Yeah, I was there. NASIR: I think it’s only been one year, right? TYLER: I was scheduled to perform but had to pull out at the last minute. KYLE: In a red bikini. NASIR: It sounds like you guys are pretty familiar. You guys may have to help me kind of fill in the facts here. Basically, there was this festival that apparently was held in the Caribbean somewhere on some island. It was promoted as, I think, it’s the second year that’s been involved. It was started by who? Not Jay-Z. Some other guy. NASIR: Ja Rule – it started with a J. Ja Rule and some other gentlemen. What was his name? MATT: Billy McFarland, I think. NASIR: That’s right. These two guys, they promote this concert, this kind of festival, concert festival in the middle of the Caribbean and promoting it as this VIP experience. When people actually got there, they did not get a VIP experience. In fact, far from it. But the main point here is how they promoted it was most people didn’t even know about it unless they knew about it through social media. They highly leveraged these influencers to actually market this event. MATT: Yeah, exactly. It was pretty interesting that the whole buildup to it was exactly what Nasir just said – they found these people with huge social media followings who were posting things. I think the headliner was Kendall Jenner and there was an ad. KYLE: There was an Instagram post. MATT: Well, we won’t get into that. TYLER: If we’re talking about where the train fell off the tracks, that’s a great place to start. MATT: I mean, you’re right, and I think that’s a very obvious thing to look at. Look at how they were planning. The whole plan in place was to get people to show up to this thing, it just wasn’t built on a very sound foundation at all. I don’t think it’s any surprise that this thing just crumbled into pieces once they actually tried to execute it and get people there. We’ll post a link to the story but people weren’t even able to get from the airport to the event. All the musicians – or a lot of the musicians – kind of backed out of it such as Tyler. I don’t know what he was going to perform but, as he said, he wasn’t the only one that did that. It was just, from the beginning, this thing was a disaster. I want to get your guys’ take on it from the marketing perspective. I mean, this is just bad from the beginning, wasn’t it? TYLER: Yeah, it’s funny, this actually hits a little close to home. I don’t know if you guys know this but, in a former life, before I launched Fidelitas, I actually used to do concert promotion and that led into consulting other promoters. So, in this time, back in the late 2000’s when I had stopped promoting shows myself and hadn’t started Fidelitas yet, I was consulting other promoters and I was hired to help promote what turned out to be a rather dubious event in Tennessee. I can’t put all the details but I can share that the promoter was literally arrested at the venue day of show. Craziest thing I ever saw in eight years of concert promotion. I almost expected him to be involved with this. This was totally up his alley. I’ll share his name off-air. You can go Google him, but he used to pull these kinds of stunts all over the world. He actually was behind an event in Sydney, Australia. It was supposed to be some sort of concert at the zoo. The running joke was that the concertgoers were living like animals. Like, there wasn’t enough outhouses. It was just a complete disaster. That was only a year or two ago. It’s kind of surprising that he wasn’t involved with this because this definitely has his fingerprint all over it. Anyway, I don’t think this is much a poor marketing effort other than, of course, there’s little truth in the advertising that they put out other than just poor planning. I mean, clearly, this is often the problem when it comes to concert promotions. They have half the money raised that they actually need to pull off the event and they bank on ticket sales covering the rest which is obviously a horrible way to go about it because, if ticket sales are slow, they have to pay social influencers upfront – whether they got $250,000 for a post or $1,000,000 for a post. It sounds like – at least from one article I read – they had around $100,000,000 ad budget for this thing. If that’s your upfront expense, that doesn’t leave much money to actually pay talent to show up. The other mistake that dubious concert promoters will make is they will promote that an act is coming before they’re actually signed on the dotted line. I’d be willing to wager that most of these performers that “backed out” never signed a contract to appear in the first place. NASIR: What you described is probably spot on because we even have a friend of the firm that actually did go to Fyre Festival and she described how she bought her tickets back in November or October of last year and she bought the VIP experience. But then, over time, she kept being encouraged by the promoters to upgrade to a “VIP” VIP experience that didn’t exist before and, obviously, efforts to keep raising more money and sell more. I mean, $100,000,000 for upfront costs, I mean, they did describe it. Now, they have this whole long apology on their website basically that they actually charted 737 planes to shuttle guests back and forth. They did seem to make efforts to prepare but, you know, this particular friend of the firm describes how, when she went there, the so-called catering that she upgraded was just horrible. I saw images on Twitter basically of a cheese sandwich – two pieces of bread and a slice of cheese with some lettuce as a side salad. This is the kind of VIP experience that they were getting. Going back to the actual topic of this podcast, the result of this is, of course, this Fyre company or these promoters were sued in a class action. I think it was out of California that this was filed. But, literally, the next day, there was another lawsuit that basically sued all of these promoters – including Kendall Jenner, I believe, among many other influencers and celebrities that had posted some of these sponsored posts. Then, it begs the question, what is their responsibility? Really, this looks like an effort just to strong-arm these celebrities to put pressure on these promoters. MATT: Yeah. Like Nasir said, I think that’s the more interesting lawsuit. Obviously, the festival or the people that put it on are going to get sued for but to actually have another lawsuit brought here in California of all these “influencers,” that will be the interesting piece. I think they’re alleging things like fraud or negligent misrepresentation, unfair business practices, things like that. I don’t know if any of them are actually going to be liable for anything major – or anything at all. NASIR: Probably not. But I bet you a lot of those posts didn’t have clear and conspicuous notices that it was an ad and that’s kind of the thing that FTC is warning about. If you’re posting something to promote a product or service and people don’t know that you’re being paid for it, then it’s misleading because they feel like you’re actually going there. Some of those posts made it seem like they were actually going to be at the concert which, I assume, I don’t think they went. TYLER: Frankly, it’s probably found legal strategy on behalf of the plaintiffs’ attorneys go actually go after the influencers because lord knows that the promoters aren’t going to have any money. Sure, they’re going to win the lawsuit but what are you going to get for it? You can’t weed a turnip. I’m sure this organization is going to declare bankruptcy if it hasn’t already. NASIR: After speaking with our potential partners, we have decided to add more season event experts to the 2018 Fyre Festival – I’ve already bought my tickets, by the way – which will take place at a United States beach venue. But, if you buy your VIP passes this year, you’ll get free VIP passes next year. I’m set. MATT: From a logistical standpoint, that already seems like it’s not going to work. Basically, anyone that was supposed to go this year gets a free pass next year in addition to the other passes they’re going to sell. I foresee problems with that but we’ll have to keep an eye on it. NASIR: At least it’s in the United States. It’s a little bit more manageable in that respect. TYLER: What kind of copyright ramifications would there be for me to start selling “I Survived the Fyre!” t-shirts? NASIR: I think there are some fair use exceptions there. We can talk about that offline. It’s not a bad idea. Speaking of copyright, I think it’s a good transition to intellectual property ownership of these social media accounts. Again, going back to the concept of the show and the topic, a lot of these issues aren’t new. We’re just taking old legal concepts and applying it to new technology which, see, a lot of times, when technology comes about, everyone’s kind of trying to figure out how to react because we’re applying same law to new facts but it’s a lot simpler than I think people make it, especially since intellectual property has been around for a while. But even social media has had a progression too and I think this is one of the older issues and I’m taking about when, let’s say you have an employee or even a marketing agency that creates a social media account for you and that relationship ends, who owns that social media account afterwards? The obvious desire is for the company to own what’s in their name but sometimes that may not be as obvious as that. MATT: Yeah, and I think it’s two different situations, two different hurdles to clear – (1) Do you have the contract or the legal framework in place to then take over that account? (2) Can you actually do it? Because we say this all the time. You can have the contract that gives you the rights after the employee is terminated or this company is no longer working with you. Then, you’ve actually got to go out and enforce it. This is going to be great to have Tyler and Kyle to get their perspective on this. They can’t speak from experience because they have never been cut from any of the companies they’re working with but let’s say, hypothetically, or let me ask it from a different perspective – have you guys ever encountered a situation where you worked with a company where previously they’re having maybe one of their employees run the social media aspect of things and that employee was then terminated and they brought you guys in? What’s the transition process and how easy was that for you guys to take over the process? TYLER: That’s a great question, Matt. Oftentimes, we find out that our predecessors didn’t get things set up in the most efficient way possible – no matter how well-intentioned they were. When you couple that with some salt in the wounds on their way out the door, maybe they’re not happy that they’re being replaced or it wasn’t by choice that they’re leaving, it can be tough to go ahead and get control of accounts. Fortunately – at least at Fidelitas – we’re a Facebook partner so we actually do have a phone number we can call and get on the line with Facebook and they can often help us fix situations. This is most common especially for brick and mortar brands that have multiple locations and they need to have multiple pages set up. Sometimes, a well-intentioned employee at one of the brick and mortar locations decides that he’s going to set up a Facebook page for that specific store, he gets about halfway through and then just leaves it and so it’s really nothing more than a shell page with an address and a phone number on it. That can actually really hurt a brand’s local SEO, depending on how things are set up, so it’s important for us to get those pages claimed and either deleted if it’s a duplicate page or get it merged in with the brand’s parent page. That’s one thing that we really try to tackle first and foremost. Facebook can be a great asset for that. Otherwise, it’s really the responsibility of the brand to have access to the page. NASIR: That’s interesting, Tyler. What kind of cooperation does Facebook have with you when you have basically a dead page or even a rogue page? How much are they willing to help you out in certain circumstances? TYLER: It depends on the situation. Frankly, with the way Facebook is structured, they rotate your rep. As an agency, because we spend a certain amount in each month in advertising, we have a rep with them that we can call. They rotate their reps fairly frequently, I believe. Again, my team can verify this but it’s either once a month or once a quarter, we change reps. Some are more proactive than others when it comes to help. Sometimes, we have to beg and plead our case for two months until we get a new rep and then it’s taken care of in two days. It really does depend. They’re usually pretty good about helping us help a client. As long as we can show that the page is the rightful property of our client, they’re pretty good about jumping in and helping at that level. That said, I also know for the small businesses out there that are listening that don’t have a Facebook partner agency like Fidelitas in their corner, it can be a little bit tougher because there is no phone number for you to call. It’s quite tough to get that situation remedy. NASIR: And, a lot of times, there’s not a great legal remedy either because Facebook doesn’t want to be wrapped up in any kind of legal dispute. From what we’ve found as well, if you kind of start going the legal route, then they kind of take a step back, especially if there’s two parties that are disputing the ownership. Now, a lot of times, that’s not the case. A lot of times, you just have a former employee, like you said, that’s abandoned it and so forth. But, for example, if you have a bad acting marketing agency that’s basically holding a Facebook page hostage and then the actual brand that’s disputing over the ownership, that can be a very difficult situation and we personally found that Facebook does not want to deal with that and maybe with a DMCA request or basically telling them there’s copyright infringement, they may shut the page down but they won’t necessarily transfer it to any particular owner. And so, that’s a very delicate situation because, a lot of times, if it’s another company that’s using your brand, then you can get that page taken down. 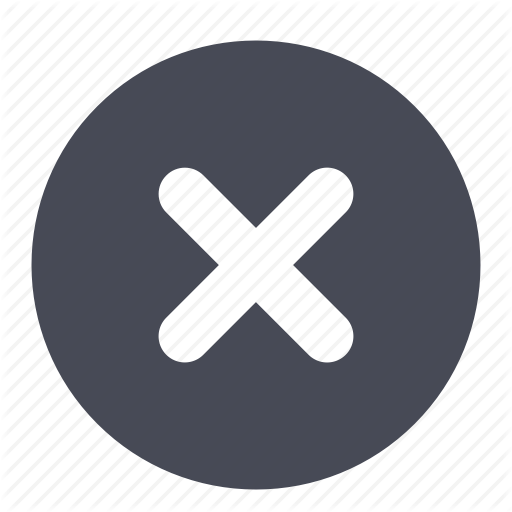 But, if you get a page that you actually want to use and it gets taken down, that’s not very helpful from a marketing perspective because you already have all those likes and followers of that particular page. TYLER: Yeah, that’s a great point and great to consider as well. It’s obviously different when dealing with the company. My advice – again, to go back and follow-up with the small business situation – if it is an employee, oftentimes, these are minimum wage employees and, for the cost of getting legal involved or threatening to see Facebook or sending cease and desist letters, to me, I would recommend for any small business to offer to pay the kid – probably a kid. I’d probably just offer to pay the kid $50 or $100 to get access turned over. It’s much cheaper and less of a headache solution for the small business to just pay it off that way in that case. Now, if it’s a company, that is a larger issue. But I can say too that most marketing agencies do care about their reputation. Anytime you’re holding something hostage, there’s other ways you can go about it – whether it’s calling them out on social media or leaving reviews or complaining to the Better Business Bureau. Frankly, I think there are other ways you can go about trying to escalate things without involving Facebook which I would consider the nuclear option. NASIR: I was trying to think about this. I would say every few months or so, this issue would come up as far as some ex-employee, ex-contractor has our social media account and our credentials. But it seems like, I mean, I don’t think that’s been happening too much lately. I just wonder if perhaps people are getting smarter about this – just making sure that you have the admin credentials may be enough. When you give access to your Facebook pages or kind of management, you’re not necessarily giving full rights. Kyle and Tyler, correct me if I’m wrong, I mean, there are now more permissions than there used to be, right? It used to be just two roles – admin – or maybe just one role, just admin. But now I think there’s multiple roles, right? TYLER: It’s interesting. Yes, there’s actually four or five different roles and then there’s also what’s called a business manager. Basically, admins of the page can grant access to an agency’s business manager account which is a nice feature because it used to be that literally everything had to be tied. I remember, if you rewind six or seven years ago, when we were a smaller shop, I think Kyle and I were the admins on probably 40 Facebook pages. TYLER: You know, it’s just a lot and there wasn’t really a great way to go about it. I mean, I think at one point we were frustrated because there wasn’t even a way to link up different client credit cards for ads at the time and now they’ve made that very simple with the business manager functionality on Facebook. And then, as a byproduct of Facebook owns Instagram, it’s the same there. Obviously, Twitter accounts can be a little bit more difficult, I think, to deal with even than Facebook. I think Facebook, to its credit, has gotten to be much more proactive. But Twitter is a whole different animal when it comes to trying to reclaim an account or even reclaim access. Frankly, what I would recommend in regard to Twitter is to create your account and then it actually might help – I know everyone covets that blue checkmark that they’re a verified account – if you can prove that there is an imposter account out there or that someone’s holding your other account hostage, you might be able to get your account verified and then it makes the other one a fake account and Twitter is likely to delete it. you might be out a little bit of tweet history but, in the long run, you’re actually in better standing for your own brand. KYLE: My biggest piece of advice, I would say, if you own a company or if you’re doing marketing for a company, you need to be the one creating these accounts. That should be on your shoulders. I’ve seen too many cases where domains were bought by other marketing agencies or other people. And so, even the business owner, they don’t even have an account or they own their own domain and they can’t renew it. We’ve seen issues like that from our predecessors and it can be a little bit tricky. We try and solve that, though. The main thing for us as a marketing company would be to protect our clients. We want to protect our clients’ entities and make sure that they have everything that they need to be successful. That’s my biggest piece of advice. Go in and create those accounts for yourself and then give access to whoever needs access. NASIR: That’s awesome advice. Obviously, all those things – everything from how you handle Facebook and Twitter with the different roles – those are all, obviously, there’s a lot of non-legal aspects on how you can protect your account ownership. Most likely, that’s probably more important. You mentioned domain names, too. You’re right, it’s very common, when they hire an outside consulting company, “Oh, just buy the domain name for me.” Even though maybe, technically, legally, you may have ownership rights over that, it may not be as clear as some people may think if certain language in the contracts don’t exist. And so, making sure that even if you have another company that buys the domain for you, having contractual provisions that make it clear that the ownership of the domain name is with the brand and that, upon termination, the company that bought the brand, bought the domain cooperates with a transferring over that ownership over when it comes to whether you’re using GoDaddy or some other domain registrar. The same thing with social media accounts – that, even if you have the social media accounts under someone else’s name, upon termination, they cooperate and they’re obligated to cooperate to turn it over. At the least, if you can’t get Facebook to transfer management or control, that you can fall back and get a court to order the actual brand manager to do so. NASIR: I think we covered pretty much, like I said, I mean, it was a breakdown of social media when it comes to the legal perspective of things and I’m sure there’s a lot of other social media aspects that we didn’t cover from a non-legal perspective. I really appreciate you guys coming on. This was a good insight to the marketing world. TYLER: Thanks! And I really appreciate you guys having us on! It was a pleasure to come on and talk shop a little bit. I didn’t realize that we were going to drum up my past as a concert promoter as well so it was fun. NASIR: That came in handy. Hopefully, we’ll see everybody. Most of our listeners are big Fyre Festival goers, too. I’m sure we’ll see you all at 2018 on the beach. I’m really looking forward to that. I’m probably going to bring my own food this time, just in case. I mean, you’ll see my social media post promoting this concert for the next year so I may or may not give clear and conspicuous notices that it’s a sponsored ad. Tyler and Kyle, thanks for joining us again! Just as a reminder, they’re from Fidelitas. They do some really great marketing services and, of course, they have their podcast as well which we were just on so hopefully this episode and their episode will come at similar times so you can listen to both and there’s some crossover, too. We do get into some of the same topics but there’s some good information on the other episode as well. TYLER: That’s great! The URL for that is LionsSharePodcast.com. The Lion’s Share Marketing Podcast is on iTunes and Stitcher and all other places you can find great podcasts like ours. Rumor has it we’re even going to record live at the 2018 Fyre Festival. NASIR: Oh, wow! That’s a mistake! I can already predict, that’s a mistake! All right, guys! Thanks for joining us! TYLER: Thanks for having us! MATT: Keep it sound and keep it smart! Is the “Right to be Forgotten” on the Horizon in California?